The BB34 Bed Frame From Glideaway is a bolt up type fame that works specifically with a headboard and footboard that you bolts up. You would not want to use this if you did not have both a head and footboard. In that case our Q33WB may be a better choice. 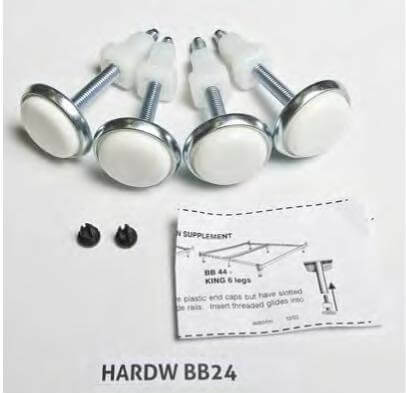 The BB34 width will accommodate queen size bolt on style headboards with foot boards whether they are brass, metal, or wood. 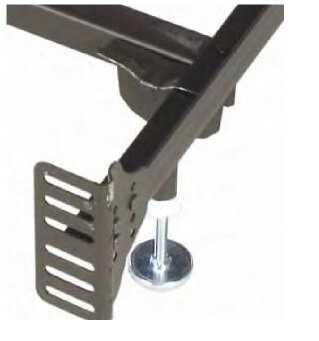 The legs must have predrilled holes that go through the legs to receive bolts, nuts, and washers for solid attachment OR threaded receiving nuts built into the legs This is a very well built frame for a very low price. What Kind of bed will this frame work with? The BB 34 is solid, sturdy, and very low priced. Originally designed for the old style brass beds, this 5 Leg bed frame now accommodates all of the bolt up modern metal or metal and wood style complete beds with both a headboard and footboard. 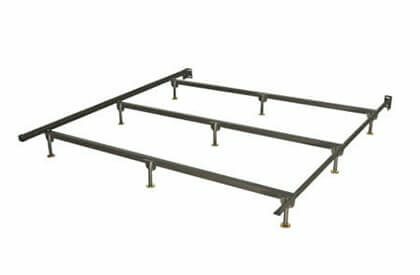 This is NOT intended to use as a stand alone frame or with only a headboard.This bed support system will even fit those head boards and foot boards with slight variations in width that don’t line up with ordinary frame mounting brackets. 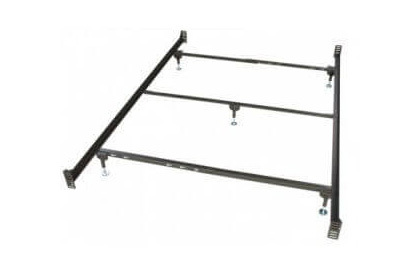 The mounting plates at the head and foot end of this frame have extra wide slots and added slots for various fit applications that some beds require. 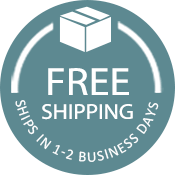 The BB 34 bed frame is quite simple to put together and will accommodate any standard queen size mattress set. 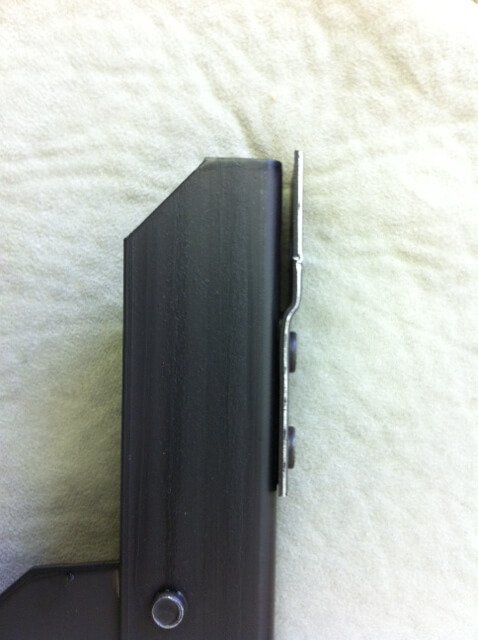 Simply choose one of the pre-set key hole notches to accommodate your bed size. You will need pliers and screw driver to attach your headboard and footboard. 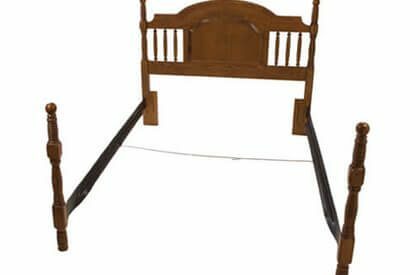 The bed frame also features adjustable glides that help that bed sit firmly on the floor.